Research is an integral component of any undergraduate healthcare course, and is also vital for continuing professional development (CPD). 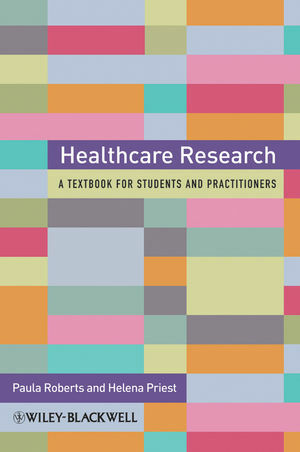 This book is an invaluable guide for students and practitioners who need to acquire a wide range of relevant skills, and it will equip them not only to assess the quality of published studies and apply findings to clinical practice, but also to undertake research themselves. An experienced team of contributors provide detailed explanations of the main concepts and methods used in critical appraisal of published research, and guide the reader in integrating these quality indicators into their own studies to ensure rigour in planning, design, and execution. Drawing on both quantitative and qualitative approaches, the authors write with an emphasis on the development of sound research skills through case-based illustrative examples and scenarios, with helpful summaries and practical exercises throughout. They also give advice on writing abstracts, presenting papers at conferences, and liaising with publishers. Ultimately, this text will enable readers to have full confidence in understanding, undertaking, and disseminating empirical research. Paula Roberts is Senior Lecturer in the School of Nursing and Midwifery at Keele University, Staffordshire, UK. Helena Priest is Senior Lecturer in the School of Psychology at Keele University, Staffordshire, UK. PART 1 THEORY AND PRACTICE. 1 Why healthcare research? (Michael Traynor). 2 Approaches to healthcare research (Oliver Slevin). 3 Taking the first step: Developing a research proposal (Leslie Woods, Helena Priest and Paula Roberts). 5 Can we trust the evidence? Critically reviewing a research paper (David Rogers). 6 Conducting ethical research in healthcare (Helena Priest and Paula Roberts). 7 Quantitative research methods: Gathering and making sense of numbers (David Clark-Carter). 8 Qualitative research methods: Gathering and making sense of words (Helena Priest and Paula Roberts). 9 Making your case: Writing for your audience (Mike Brough, Susan Smith, Paula Roberts and Helena Priest). 10 Sharing research knowledge (Paula Roberts, Colin Macduff, Tim Smale and Helena Priest). PART 2 RESEARCH IN ACTION. 11 Combining research methods: Case studies and action research (Rebecca Jester). 12 Involving vulnerable people in research (Helen Combes and Ranil Tan). 13 Involving older people and carers in a research project: The 'virtual' steering group (Sue Ashby and Sian Maslin-Prothero). 14 Involving people with intellectual disabilities in research: Participation and emancipation (Mike Gibbs and Sue Read). 15 Researching with children and young people (Jacqueline Collin and Geraldine Lyte). 16 Researching organizations: Evaluating a 'partnership for older people project' (Roger Beech, Brenda Roe, Michelle Russell, Bernard Beech and Deborah Gent). Postscript (Paula Roberts and Helena Priest).